This Thursday will see another exciting new addition to the BottlesXO wine selection: the Pio Cesare Barbera d’Alba. It’s a rich, full structured Italian red wine with a complex, plummy flavor and spicy aromas of blackberry, ripe fruit and toasted tobacco… and it comes from a winery with plenty of history. As the name implies, this wine is produced entirely from Barbera grapes grown in Italy’s Alba region. Barbera might be one of Italy’s lesser-known grapes, but it is native to the slopes of the country’s North including Alba, Piemonte, which is one of the country’s most renowned wine regions. The grapes in this bottle were grown in family owned vineyards that have a historic relationship with Pio Cesare and have been providing the winery with grapes for generations. 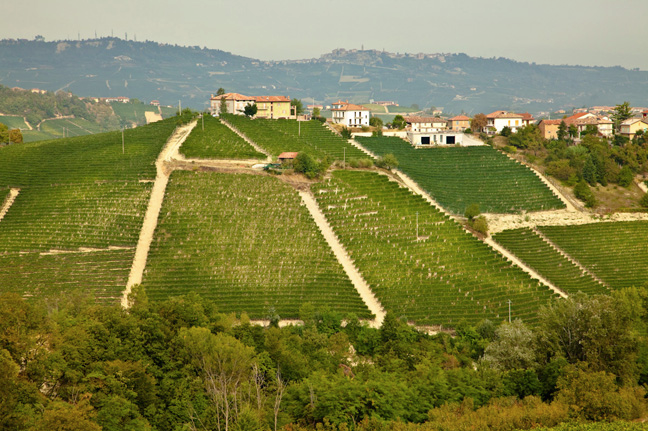 The Pio Cesare winery was founded in 1881 by Cesare Pio, one of the first producers in Italy to recognise the potential of Barbera grapes as well as the many others of the now renowned Piemonte region. Five generations later, Cesare’s great-grandchildren continue to maintain the same dedication to quality and respect to tradition and terroir that drove him to establish the winery as one of Piemonte’s finest. The Pio Cesare Barbera d’Alba will be available to order on the BottlesXO app from Thursday, 28 July. You can be among the first to taste it at the upcoming wine tasting at our bar XO on the same date; email rsvp@sha.bottlesxo.com for more info.